OK, so video slots weren’t exactly what J.R.R. Tolkien had in mind when he sat down to pen possibly the greatest fantasy epic of all time, but it certainly is what slot developer Microgaming had in mind when they teamed up with the makers of the Peter Jackson trilogy, Warner Bros., to produce this beautifully-recreated game. It is certainly a slot that will appeal to fans of the epic movie franchise and it borrows reliably from the movies so that it provides excitement and action familiar with the movies. If you’ve followed the life of the slot you may know that you’re lucky to even play the game at all. 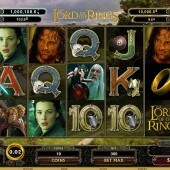 The Tolkien estate were furious that the saga had been turned into a gambling game, and while the court case rages on and the slot is currently under an unspecified suspension from being available to play at Microgaming online casinos, we take a look at the 5 reel slot with plenty of added extras and a potential 1.9 million-coin jackpot and see just why it became one of the most popular slot games to hit online casinos. LOTR utilizes Microgaming’s custom 243-ways-to-win method, so big-variance gamblers are well catered for here. On the reels – powered by Microgaming’s special ‘Cinematic Spins’ which allows movie clips to act as moving backgrounds behind the reels during spins – we get plenty of official photorealistic images from the film: Galadriel, Legolas, the dwarf one, the hobbit one, and the warrior one. Some solid, fantasy-style 10-through-Ace symbols make up the symbols. The slots feature famous scenes from the film including Ringwraiths, the mighty Balrog demon, Frodo, Aragorn, Saruman, bands of orcs and the Black Riders. Want More Big Movie Slots? Anyone who’s played some of Microgaming’s other big-movie tie-ins – such as the atmospheric Batman slot The Dark Knight Rises and the cartoon influenced slot Hellboy – will know just how hell-for-leather the leading developer goes when it comes to slick games. The LOTR logo is the game’s Wild. It substitutes for all symbols in the game other than the Scatters and Expanding Wild. The Wild is stacked on various reels to give you bigger chances of winning. The evil Eye of Sauron – the flaming evil eye from the films – is the aforementioned Expanding Wild. He only appears on reel 3, but when he does he will expand to fill the entire reel. 15 free spins can be won are activated if you hit three or more Ring Scatters anywhere on the reels. 1.9 million coins can be won during this bonus round. During each free spin one reel will be changed into a Wild reel. All symbol positions on the reel will become Wilds. You can bag 15 more free spins if you hit three more Scatters. If you’re a big fan of the Lord of the Rings films – and who isn’t? – you’ll get a kick out of this faithful tie-in if it is re-released at online casinos. It has some great scenes and characters from the movies, nice music over the top, and a great bonus round with some cute touches. Possibly, I would have expected a little more in the way of bonuses, knowing Microgaming’s track record, but for free spins hounds there’s plenty to like. Fantasy slots fans can indulge their love of all things orc by heading over to IGT’s role-playing slot, Dungeons & Dragons: Crystal Caverns, or NetEnt’s action-packed Dragon Island. The online slots world is craving for this slot to make a comeback but the future is uncertain for this iconic slot. 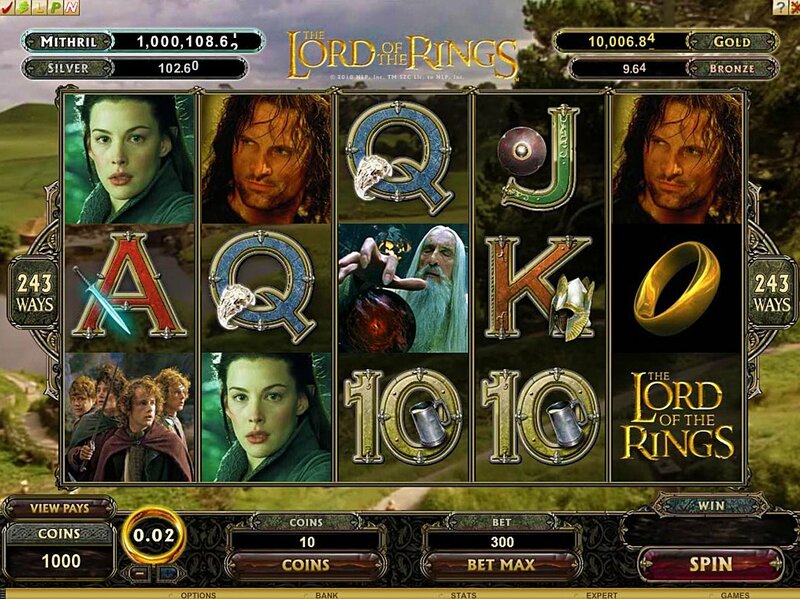 You can see from the review just why it struck a chord with millions of online slots players across the world and we, for one, are hoping a deal is struck with the Tolkien Estate to allow this slot back onto Microgaming online casinos.